(CHICAGO, IL) – Professional StoryBranding Advisor Jim Signorelli has joined the award-winning team at Chicagoland advertising agency, Stevens & Tate Marketing. Jim brings over 30 years of marketing and advertising experience to Stevens & Tate, with a vast background spanning many areas of brand development for such prominent names as Citibank, General Electric, Toshiba, Burger King, Kraft Foods, Arby’s, and others. As co-founder of former Chicago marketing and branding firm eswStoryLab, Jim is well versed in all aspects of the industry, but specializes in building brand following through the power of story telling. As originator of the “StoryBranding” concept, Jim is the Internationally awarded author of two best-selling books, including ‘StoryBranding 2.0: Creating Standout Brands Through the Power of Story.’ He has been voted to the list of ‘Top 50 Marketing Thought Leaders Over 50’ by the readers of Brand Quarterly Magazine and is the recipient of U.S. Bank’s Smart Leaders Award. He is a skilled marketing veteran, a renowned speaker and educator, and adds to Stevens & Tate’s professional assets of high-level thinking, diverse insight and extensive expertise. “The team at Stevens & Tate shares the same outlook as I do—philosophically and in the way we approach clients’ challenges,” Signorelli said. “This common vision and attitude means we can draw on each other’s strengths and become something even greater moving forward,” he continued. Along with Stevens & Tate’s shared belief in the power of storytelling to build brands, the agency’s robust digital capabilities offer Signorelli a new outlet for his in-depth StoryBranding focus. “Marketing should not feel like marketing. It should feel like a story.” Signorelli said. “One that resonates with its audience…causes them to feel understood…offers a sense of belonging,” he continued. “The most successful brands today are ones that customers can relate to in values and beliefs…they don’t just attract buyers, they attract followers.” For business leadership teams looking to find, define and develop their unique brand story, Signorelli conducts educational workshops through his consultancy firm Story-Lab. 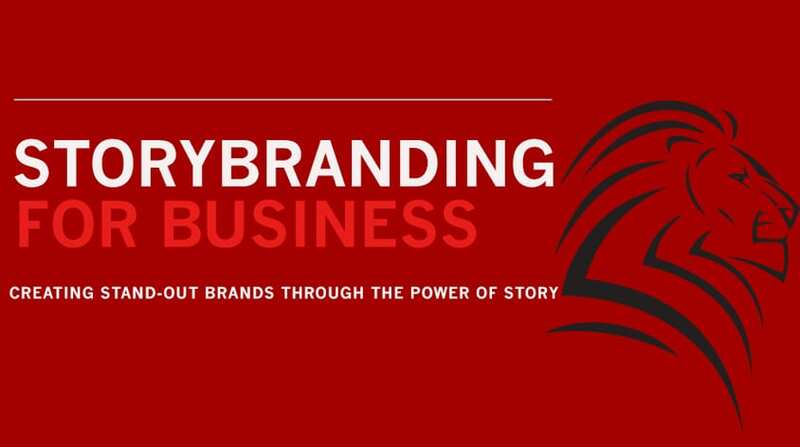 Learn more about StoryBranding at www.stevens-tate.com/storybranding. Stevens & Tate Marketing is a full-service Chicago advertising and marketing agency offering award-winning, on-strategy creative; integrated message development; and cost-effective media planning and execution. The team creates targeted solutions for clients within CPG and food, grocery and retail, homebuilding, travel and tourism, business-to-business, healthcare, pharmaceutical, and senior living industries. To learn more about how Stevens & Tate can help Make Things HappenTM for your business, call (630) 627-5200.